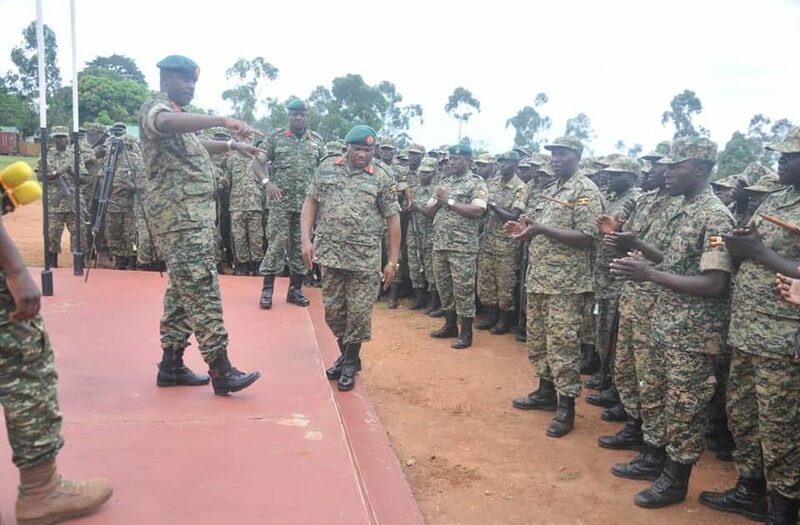 David Muhoozi, on Wednesday (April 10, 2019) flagged off Uganda Battle Group XXVII to Somalia. The function was at Peace Support Operation Training Center, Singo in Nakeseke District. 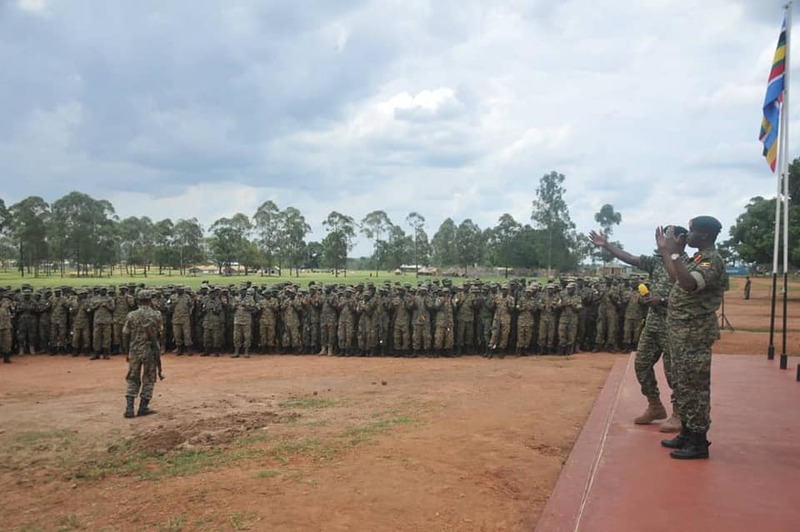 While addressing the 1,800 troops commanded by Col Kosiya Kuteesa and deputized by Col Rogers Okiror, the CDF counseled the combatants to use the knowledge they acquired in mission training since September 2018 to professionally conduct their operations bearing in mind that it is a war situation where operational mistakes can lead to loss of lives. 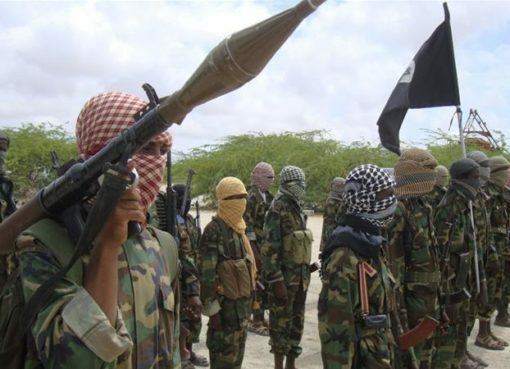 “The Somalia mission is not a picnic; it is a war situation. It is a dose and die mission. Watch each other’s back and ensure you adhere to the principles of war and standing operation procedures at all time.” Gen Muhoozi said. He added that the mission is built on the UPDF’s pro-people ideology which is part of the reason for the Force’s successes in its operations. 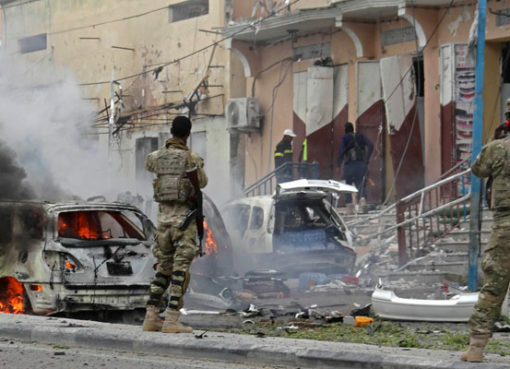 “As opposed to the previous perception that the Somalia mission was an impossible one, with discipline and adherence to rules of engagement based on our pro-people ideology, we made the mission possible.” Gen Muhoozi said. He urged the soldiers to concentrate on their military tasks and not be diverted by unfounded stories being circulated by enemies of the people. He was responding to concerns by soldiers that there were clues that on retirement, their packages would be paid less the salary advances they received during their annual leave. “Get it from me. That is a lie. No one will tamper with your pension. You do not have to worry about that but rather focus on how you can improve your household income so that when you retire you can supplement your pension.” The CDF said. 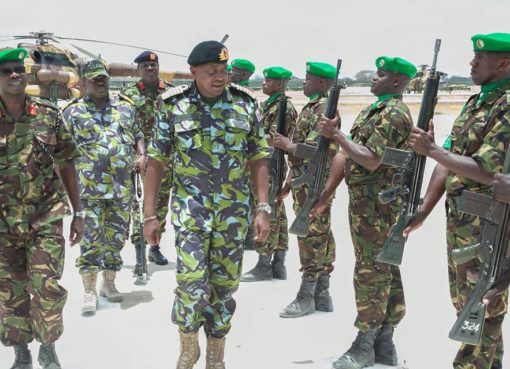 In attendance was the Commander Land Forces, Lt Gen Peter Elwelu, who also coordinates the Somalia Operations. He prayed for God’s protection to the soldiers, a successful conduct of their operations and safe return home. Otherswho attended the ceremony were the Chief of Training and Recruitment Maj Gen Willis Byarugaba, and officials from US, UK and French Embassies in Kampala. Mr. Curtis Crum who is the country director for Global Peace Operation Initiative (GPOI) that helped in the mission training. VIDEO: Eddy kenzo Releases Much Awaited “Signal” Video – Watch Here!